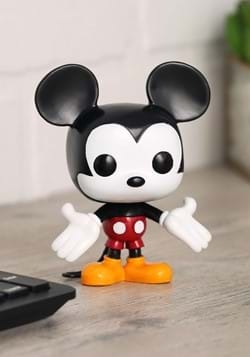 Mickey is a pretty talented fellow. He's had plenty of jobs. He started out as a steamboat captain. 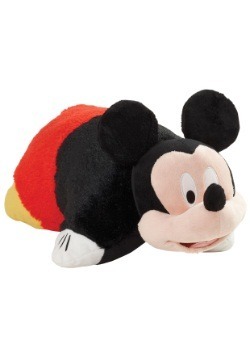 He wasn't the best steamboat captain, he was rather distracted by the appearance of a lovely mouse that would turn out to be his lifelong sweetheart, Minnie. He went on from the river-oriented job to do a variety of tasks. He sold hot dogs at a carnival, in fact, "hotdog" was his first spoken word! Yum! He's become a farmer, a conductor for a band, and of course, everyone knows of his short and slightly disastrous stint as a magician's assistant! His career has had its ups and downs but we think he may have actually found his calling! After more than eighty years it's about time! 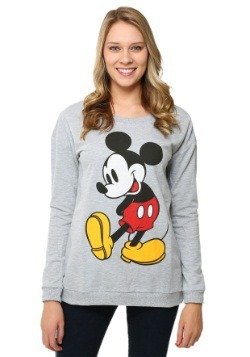 Mickey likes to go fast so it makes sense that he's taken to the blacktop. 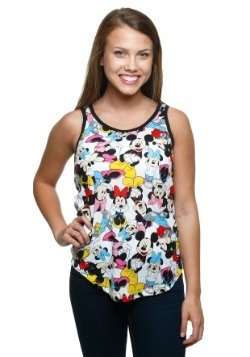 If your little one loves to watch and play Mickey as he races his friends then they're sure to love this outfit! 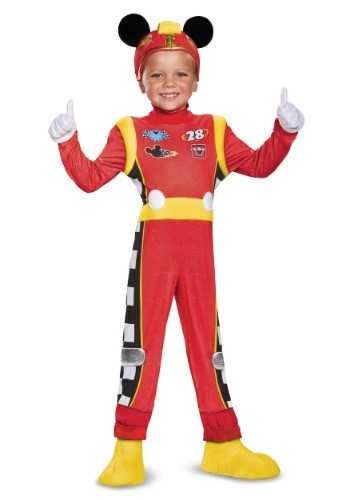 He and Minnie might be in for a wild ride but when he's joining Lightning McQueen and Tow Mater on the race track things are sure to get interesting! 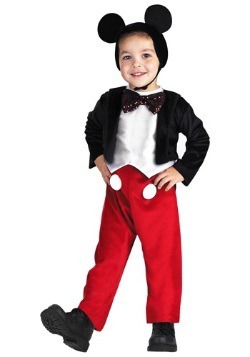 Well, your little one will be ready to join in the fun when he puts on this deluxe Mickey Roadster costume! 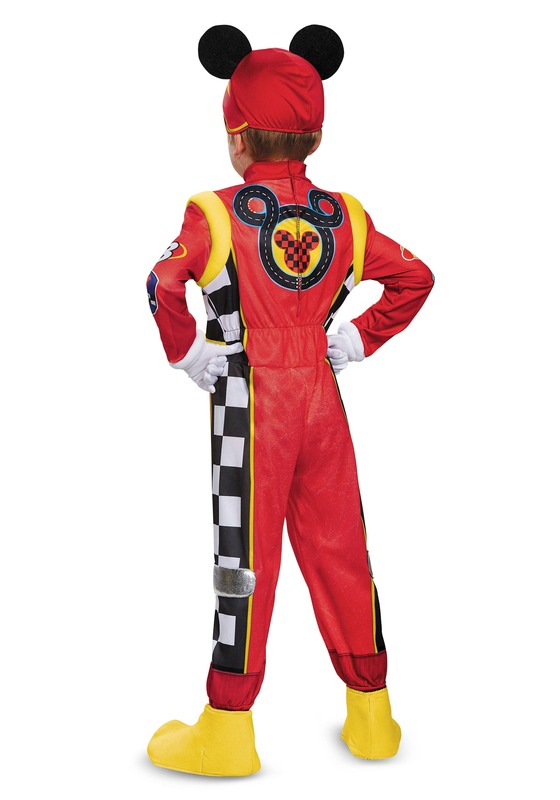 The ensemble includes the red jumpsuit with checkered accents and the classic Mickey white buttons on the waist. 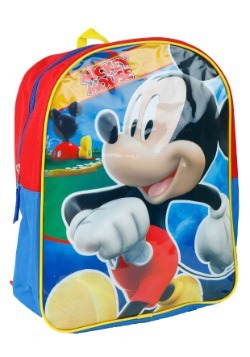 It's comfortable and easy to move in with a zipper and elastic on the back. 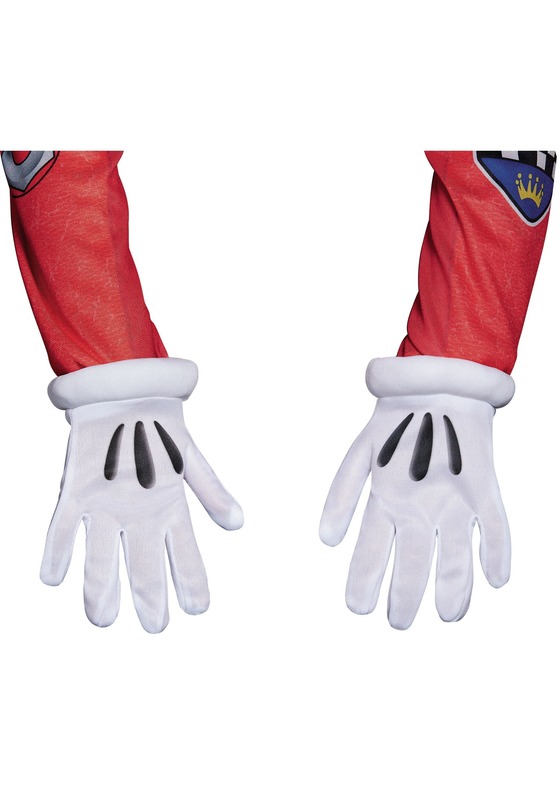 You'll also receive the Mickey-eared hat, oversized shoe covers, and white gloves. 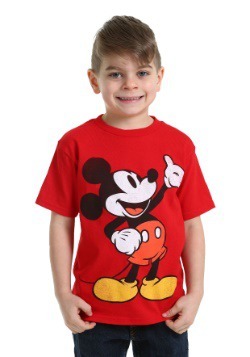 All you need to do now is paint your little one's nose black and he'll be a Mickey look alike! So, start your engines this Halloween is sure to be a wild ride!